With social media easily accessible and ubiquitous, it’s likely that your employees will post, blog, or tweet about your company, your workplace culture, or even their fellow employees at some point. How do you ensure that your employees use social media in a way that protects your company’s brand and reputation, and shields your employees from online harassment by other workers? How do you do so while still abiding by privacy laws and labor relations guidelines—and without discouraging social media engagement altogether? The transparency, speed, and creativity of social media can be a big opportunity for businesses, but also a pitfall if not managed properly. The best approach is to craft a good social media policy to reside in your employee handbook. Here are three top tips for creating a social media policy that protects you, empowers your employees, and encourages trust. Every company should have two social media policies that address two separate issues: the company’s presence on social media, and employees’ personal use of social media where it overlaps with company interests. The first policy defines basic guidelines for how your social media team should behave online. It should appoint a primary social media manager, list other roles and responsibilities, articulate branding guidelines, and identify which internal and external policies should be complied with on social media. The second policy, focusing on employees using social media in their personal lives, should inform employees about what they can and can’t say about you and other workers online—whether on Facebook, Twitter, a personal blog, or another social media platform. Some organizations ban employees from discussing sensitive company information such as design plans, internal operations, legal matters, or anything pertaining to clients and customers. Others go so far as to provide guidance for employees about how to discuss (or not discuss) their company online. Best Buy mandates its employees to freely disclose their affiliation with the company granted that disclaimers are set freeing the company from any intellectual investment in the post. Take the time to look over employee social media rights on the National Labor Relations Board (NLRB) web site, so that you’re careful about telling employees what they can and can’t say on their personal social media sites. Although each situation is different, casual conversations on social media about working conditions might be protected under the (National Labor Relations Act (NLRA), which protects workers’ rights to organize. Employees have the right to address work-related issues and share information about pay, benefits, and working conditions with coworkers on social media. But workers aren’t protected by the NLRA if they individually gripe about some aspect of work, say things about an employer that are egregiously offensive or deliberately false, or if they publicly disparage an employer’s products or services without relating their complaints to any labor controversy. Your internal social media manager should be able to solve many tricky corporate social media presence issues. But it’s a good idea to include a crisis control plan in your social media policy in case your employees disparage your business or their coworkers online. Be sure to outline a method for protecting your company’s reputation, such as listening carefully to online conversations, knowing how to identify potential issues in those conversations, acting quickly in the event of a crisis, and addressing concerns without escalating tensions. If the issue is primarily with worker conduct, you’ll want to request help from your HR manager, who can advise you on the best way to protect your business and the rights of your employees. 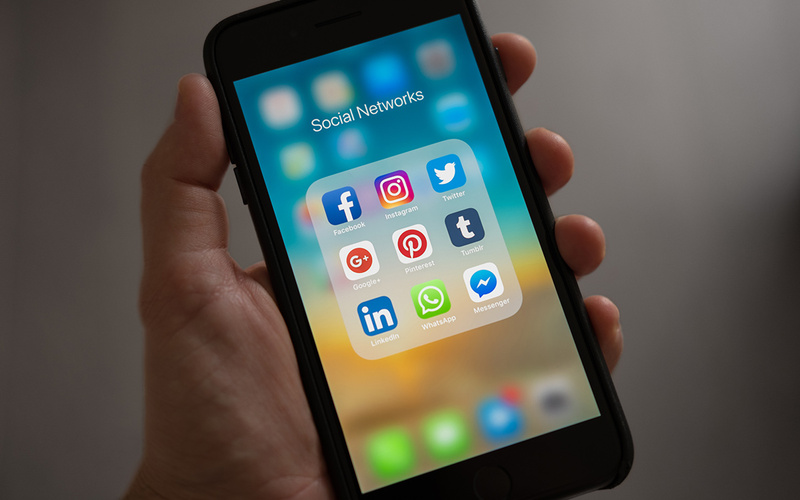 If you follow these tips, you should be well on your way to creating a social media policy that allows you and your employees to leverage the best aspects of social media while avoiding the worst. Request a Consultation to speak with our HR experts.